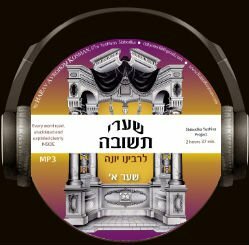 The Rabbeinu Yona`s voice stirs us to new heights of spirituality with this classic work on Teshuva. He tells us Teshuva has many different levels and proceeds to delineate 20 Teshuva fundamentals, in the Shaar Rishon. Recording time: 2 hours, 37 minutes. Version 1 – 52 tracks, one for each oas. This is designed for those who want easy access to a particular section. Version 2 – 7 tracks, user friendly, approximately 25 minutes per track.